Home of Author Joshua K. Johnson and the Worlds That He Creates. Kickstart The Cerberus Rebellion Into Print! I’ve just launched a Kickstarter campaign with the goal of getting The Cerberus Rebellion into print! Take a look! I’ve got some cool rewards up for backer levels up to $250! 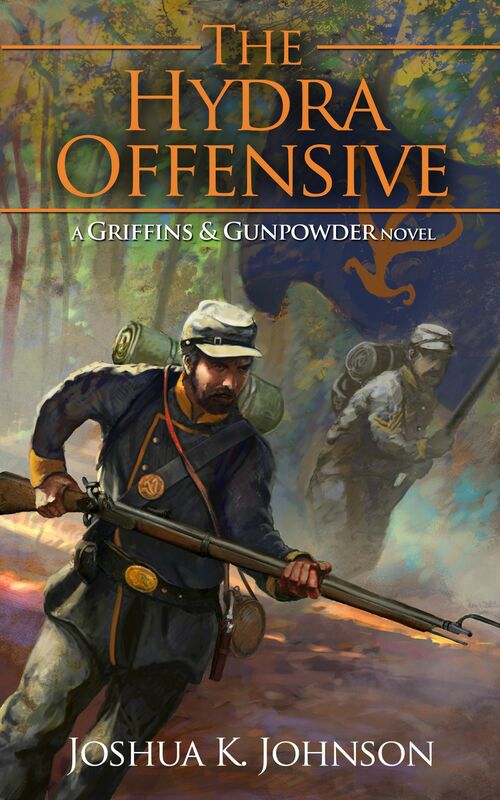 As part of my effort to increase the awareness of other Gunpowder Fantasy authors, today I’m featuring a post from Frank and Jim Hofer, authors of the unconventionally named “Duck Blood Soup”. I’ve just started reading their novel, and already there are aspects of the novel that I’m very impressed at. When my brother Jim suggested that we write a fantasy novel, I agreed to work with him under the condition that we didn’t write “sword and sorcery.” I wanted a society with a late 18th or early 19th century level of technology with a blending of science, engineering, and magic. As we started building the world for our story, we took time to define the rules; the physical laws by which our world would operate. Jim has a BS in Electrical Engineering and an MS in Food Engineering. Contrary to what you might think, Food Engineering has nothing to do with creating recipes. Rather, it is the engineering involved in designing industrial machines for food processing. I have a BS in Computer Science and spent a dozen years in satellite operations where I had to apply knowledge learned in past engineering courses. I think it’s safe to say that we both have a pretty strong technical background, and as such wanted the physics of our world to be internally consistent and well thought-out. And above all else, no Deus Ex Machina; all problem resolutions must be resolved using the laws of physics set in place elsewhere in the book. A central plot point of Duck Blood Soup is the introduction of a new, magical, non-polluting power source based upon scarce resources. The applications that immediately came to mind were military and commerce – power and greed. We spent a considerable amount of time researching basic designs for airship kept aloft and controlled by this new, magical substance, as well as steam powered locomotives which leveraged this new pollution free power source. As the story developed we considered how the new substance would affect the lives of the people in our world. Who could afford the new inventions and who would be stuck using technology that was invented before its discovery? Firearms, specifically muskets and early rifles played a key role in Duck Blood Soup. We needed to find out about conditions in arms factories of the time period as well as the manufacturing processes used at the time. We spent time researching how muskets work as well as early pitfalls in musket and rifle design. The research into early firearms provided a sense of reality to our manufacturing process, weapons availability, and usage in battle. A real concern we had was applying what we had learned about the laws of physics to the world we were creating. Obviously magic violates all sorts of rules, giants would be crushed by their own weight in our world, human sized creatures might glide but never fly on an earth-like planet, and so on. We knew all of that going in, but there were some rules we would not break: we would not violate the laws of thermodynamics. If a wizard used magic, it took energy. Use a lot of magic and the wizard would become exhausted and risk death. A fat wizard? Not possible if you assume that casting a spell burns calories. A spell that lasted forever? If you moved something by magic it would stay where you put it but any other spell would gradually fade away. Likewise, a well-educated wizard would understand both the laws of magic and the laws of physics and could use this knowledge to his advantage. There is one battle scene where an army wizard uses some basics knowledge of physics to provide a magical solution to a physical problem. By applying what we learned in engineering classes, I think we created a world that is consistent with most laws of the universe, and provides limits and rules to physical laws we break to add concepts such as magic. Duck Blood Soup is available on Kindle through amazon.com. We expect to expand to other e-readers by the end of March. James Hofer lives in St. Louis, Missouri with his amazing wife that he still can’t believe he tricked into marrying him, three wonderful children who regularly argue about who the favorite is, and their various pets. He is a graduate of the University of Missouri, Columbia with a BS in Electrical Engineering and an MS in Food Engineering. James has very nearly been to lots of wonderful and exciting places, including Australia, Japan, China, Russia, Germany, France, the United Kingdom, and the Middle East, but for one reason or another never seems to leave North America. James has written a number of technical documents that no one should ever be forced to read as well as countless blog posts that no one ever has. Duck Blood Soup is his first attempt to write something that relatively normal people may enjoy consuming. Frank Hofer lives in Silicon Valley with his wonderful wife, three dogs, and three cats. He used his BS in Computer Science to land a job flying over a dozen one-of-a-kind science satellites. Career highlights over the past ten years include a failed attempt to get the call sign “Gilligan” assigned to his ops team for the joint U.S./Soviet satellite mission known as “Skipper”, and labeling spacecraft anomaly data “The Big Battery Bake-off”, which oddly enough was not well received. Despite his antics, Frank has managed to survive in an industry known for volatile staffing levels. His current job is testing spacecraft flight software. Frank is considered an amateur Iron Chef and enjoys trying new cuisine. He spends his vacations visiting National Parks and lately has taken an interest in archaeological sites in the American southwest, especially those with Native American petroglyphs. Today, Duck Blood Soup, a Gunpowder Fantasy that I recently discovered, is Free! Head on over to Amazon and pick it up here! So, I’ve made it kind of a habit to Google “Gunpowder Fantasy” “Muskets and Magic” and “Flintlock Fantasy” every once in a while to see if there’s anyone else out there writing in this subgenre, or if there’s anyone out there looking for works of this nature. The other day, I came across “Duckblood Soup” written by co-authors Frank and James Hofer. I reached out to them about the possibility of some cross-promotion and we’ll be seeing a guest post from Frank soon. 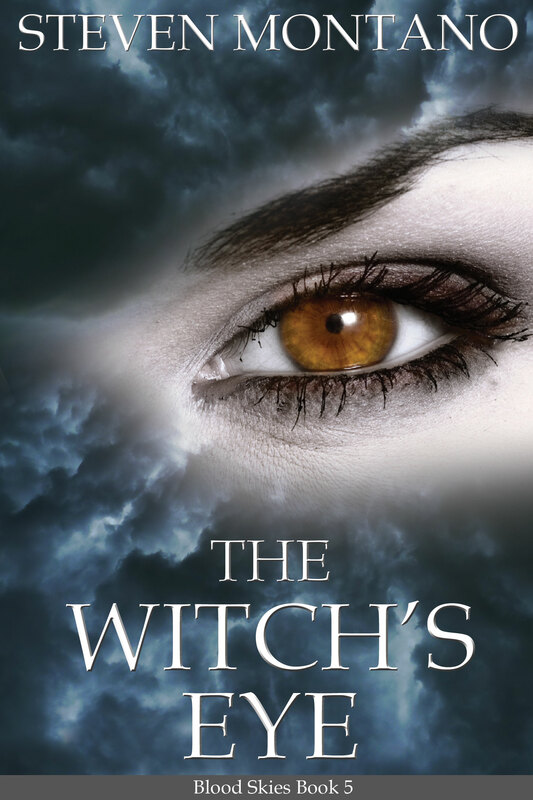 Today, I’m giving fellow Guild of Dreams author Steve Montano a chance to announce his new book, The Witch’s Eye. The war continues, and a new evil is born. The Ebon Cities have created a deadly new breed of undead called the Witchborn, whose very existence spells doom for the entire continent. To make matters worse, a nihilist cult called the Black Circle has learned of the Witch’s Eye, the source of the Witchborn virus and an item capable of opening a portal to The Black. Eric Cross’s scattered and war-weary team must find the Eye before it’s too late. With the aid of some unlikely allies, the mercenaries will fight their way across the wastelands and challenge the horrors at the edge of oblivion. Return to the world After The Black in Book 5 of the BLOOD SKIES saga! Grab a copy at Amazon or Smashwords, and be sure to check out the page at Goodreads! Steven Montano can’t believe he’s written five full-length novels in this series. Writing four more will likely be the death of him. At least it was fun while it lasted. He lives in Washington State with his wife, two children, a dog of below-average intelligence, and a ridiculous number of books and bottles of wine. 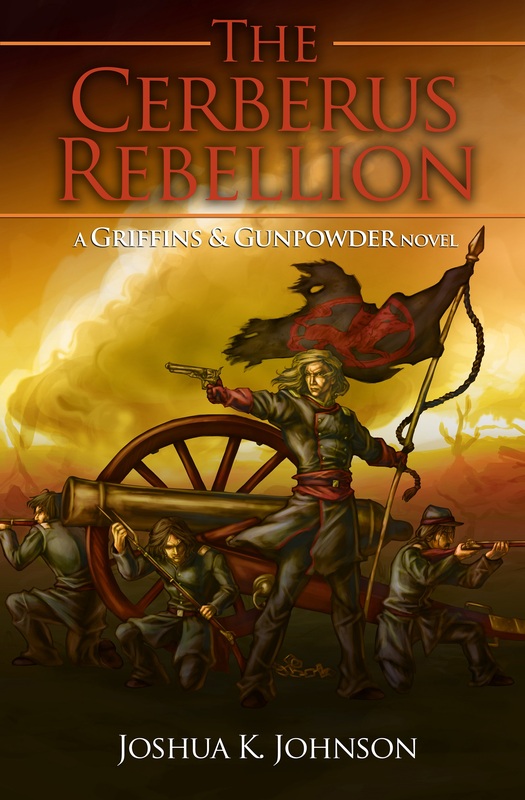 In an effort to help raise awareness of other Gunpowder Fantasy/Muskets and Magic/Flintlock Fantasy authors, I’ll be reviewing their works and posting them here. Gunpowder Fantasy: an alternate world story set in a world that uses gunpowder firearms (up to and including revolvers, but excluding magazine fed small arms or belt fed weapons), steam power (limited to rail transport and limited sea-going vessels) while also maintaining essential elements including some of the following elements: a fully-alternate world setting, magic, a feudal or semi-feudal setting, alternate races (including, but not limited to elves, dwarves, orc and other “traditional” fantasy races), and/or a broad-scale conflict. Alternate History stories may be considered if they are of a sufficiently “alternate” nature and will be considered on a case by case basis. Steampunk will not be considered for review. I’m currently working up a list of stories to be featured, so if you have any suggestions please hit up the Contact link. So last year, I had rather modest goals. Finish The Cerberus Rebellion and publish it, get the back end stuff for my website and blog set up, including a Scrivener key, and some other minor goals. Well, I can proudly say that I got all of those finished last year. I think I’m going to be more ambitious this year. With The Hydra Offensive nearly halfway completed and The Battle for Broken Plains in Beta, I think that I can safely plan to have both of those published and get at least halfway through the next book in the Ansgari Rebellion Series: The Centaur Campaign. I also want to go back through The Cerberus Rebellion and trim some of the fat and add a couple of chapters that really should have been included in the first place. I’d really like to get started on the story that my brother gave me the idea for, but the Griffins & Gunpowder universe is going to consume my writerly focus for this year. On the up side, I have most of the rest of the Ansgari Rebellion series plotted out at the book level, so I just need to outline the books by chapter and I’ll be all set. What are your goals for this year? Or are you just going to wing it? "The auther did an amazing job building up anticipation for the huge battles that were part of the Kerberosi rebellion..."
"The author did a good job showing his world and obviously spent a lot of effort on worldbuilding. He was detailed enough to give life to the world, while not going overboard on detail..."
"The Cerberus Rebellion is set in a well thought out world and the characters are true to life. I really liked Raedan, Baron of Broken Plains and would read the sequel to find out what happens to him." New Work in Progress is Complete!